To “treat” your allergy symptoms, rather than take over-the-counter medications or even search for a natural remedy, it is time to visit your local chiropractor’s office. It is time to address the root issue, instead of simply masking the symptoms. How Do Allergies Affect the Body? Allergens like those mentioned above usually enter the body in one of three ways: they are inhaled, ingested, or touched. Once the allergens are in the body, immunoglobulin, a type of antibody, and histamines are released. 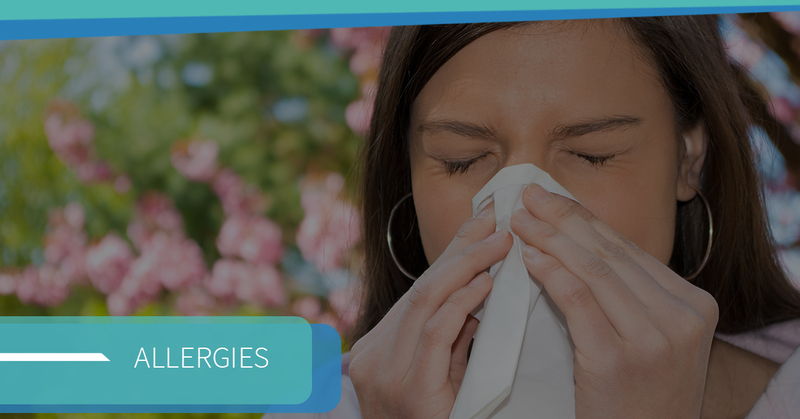 Once histamines are discharged into the body, the blood vessels dilate and the body’s affected cells fill with fluid; sneezing, itching, nausea, and even vomiting are all signs part of the body’s inflammatory response to contact with these common allergens. Have you ever noticed that when you are experiencing stress that your allergies become worse? If you have, the connection there is real. Though doctors don’t completely understand the connection, the immune system and nervous system are invariably linked. This means that often the body’s response to stress is similar to it’s response to allergies and, if you are already experiencing a reaction to allergens, it will be exacerbated by stress. Chiropractic Care: A Natural Allergy Relief? The discomfort from misaligned joints isn’t the only relief that a visit to your local chiropractor in Fresno can provide. This misalignment can also impede communication between the brain and other parts of the body and, in this case, the immune system. When the communication between the brain and this important system is reestablished, the body is better able to regulate itself and fight its reaction to these allergens. How Can My Chiropractor Help My Allergies? When you receive an adjustment from your chiropractor, they are not only offering you relief from the effects of allergies, but they are providing you other advantages that will help you feel better and your body will be healthier even when you are suffering from seasonal allergies. Reestablishing communication between your body and brain will not only provide relief from allergic symptoms, but it can generally strengthen your immune system; this can allow your body to fight infection, viruses, bacteria, and other invaders more efficiently and effectively. Most in our modern age are overworked, overscheduled, and stressed. It can be hard to find peace within the storm of our busy lives, and our bodies’ response to stress — those commonly associated with allergies — can only make those difficult times even harder. When the brain-body connection is repaired, the body is better able to regulate its response to stress and provide relief to the adrenal glands which can be taxed and weakened by the unregulated response. A healthy adrenal gland can provide healthy regulation of cortisol — one of the main stress hormones produced by the body. Because the brain and body can properly communicate with proper alignment, the communication with all other systems becomes more efficient. The respiratory system is one that directly benefits and as a result, can better withstand the attacks from allergens. Often what we eat and our surroundings can have a profound effect on the severity of our allergies. A chiropractor can provide guidance for dietary and lifestyle changes that could yield additional relief from allergies. Learn more about Kuwamoto Chiropractic and why so many in Fresno choose us for their chiropractic care needs. To make an appointment with our chiropractor call us or get started here.